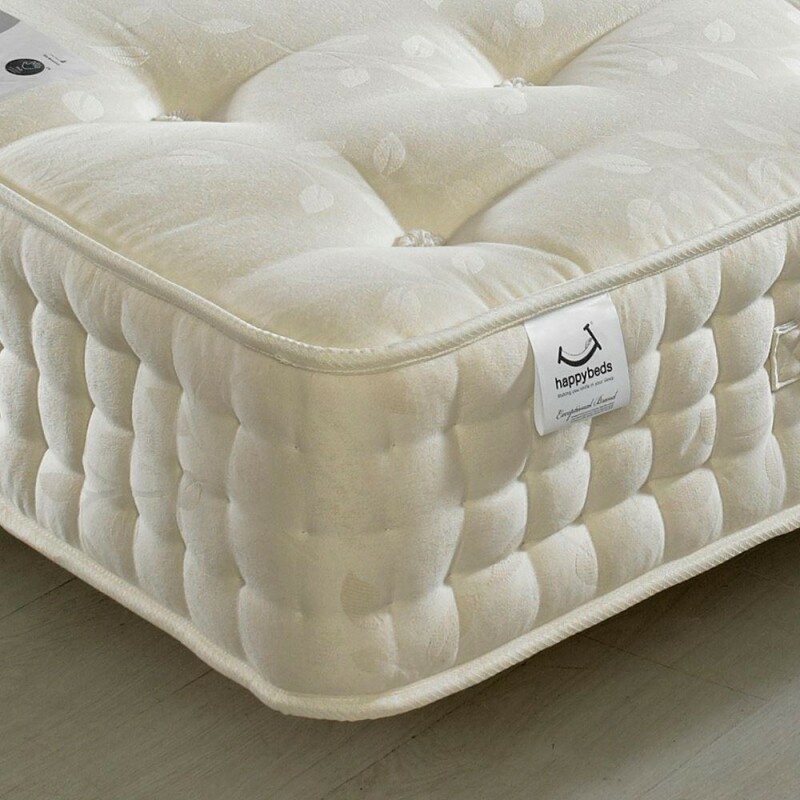 Ultimately luxurious, the Ambassador Pocket Sprung Mattress lives up to its name by offering sleepers an immensely comfortable night’s sleep. Filled with a wealth of natural fillings, such as cotton and cashmere, the Ambassador Orthopaedic Mattress is undeniably opulent. Crafted with a host of pocket springs, the Ambassador Mattress has been designed to serve as an incredibly stable and strong mattress, which is evident from it’s fairly high firmness level. These pocket springs also ensure that separate sleepers will be able to rest without getting disturbed, as they essentially create distinctly individual sleeping spaces for each person sleeping on the Ambassador 3000 Mattress. Wonderfully soft to the touch, the Ambassador Pocket Spring Mattress is padded and adorned with linen and cotton. Made by hand in the UK, the Ambassador Mattress has been crafted to an exemplary level of quality. To maintain this, you will need to flip and rotate the Ambassador Mattress once every six weeks, a task made all the more simple by the flag stitched handles embedded into each side including the head and foot ends.